SIG Design & Technology #IanClimbsKMJ Update - Flags, Celebs and More! Remember back in November we told you about our specification manager Ian Dryden’s initiative to climb Mount Kilimanjaro? We’re back with an update on his training progress, news of when he’ll be climbing and more. 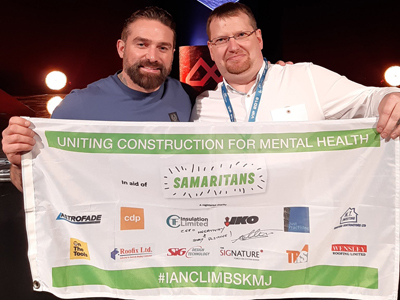 Ian tells us in his story that he’s decided to spend the year training and climbing to raise awareness and provide information about mental health in construction. After the end of his marriage earlier last year, Ian went through a difficult time and contemplated suicide. But fortunately for all of us, he picked up the phone and dialled Samaritans on 116123. This was the beginning of his journey back to life, a journey we’re all proud to be sharing with him. Construction has a huge problem with mental health. Not only are construction workers ten times more likely to die by suicide than by an accident on site, construction trades have the highest number of suicides than any profession. Between 2011 and 2015 over 1400 construction workers took their own lives. 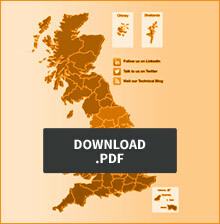 Samaritans is available round the clock, every single day of the year. You can talk to us any time you like, in your own way, about whatever’s getting to you. A great deal of work is being done across the industry to help turn these statistics around, and we’ll be sharing some of these initiatives in the coming months. Ian’s campaign is one of them, so let’s get behind him and get him up those mountains! 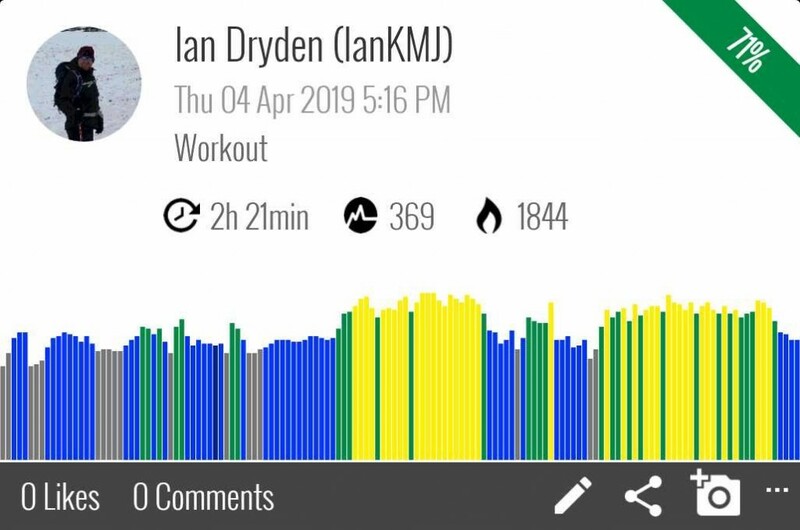 Ian has been making short videos whilst out training, with thoughts about mental health and exercise, and a few jokes! You can see the latest video below. If you’d like to get Ian’s videos in your inbox, subscribe to our channel here. Don’t’ forget to share the videos with your colleagues. 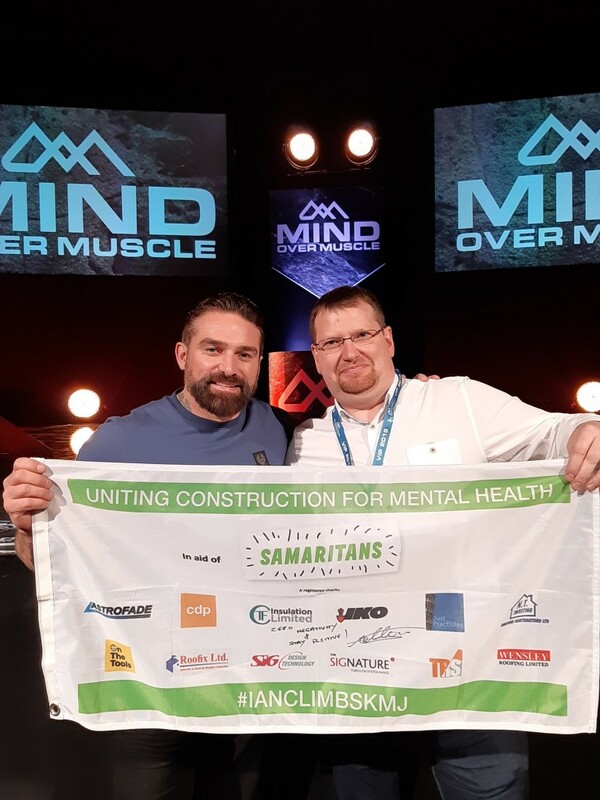 Last week Ian was privileged to meet former SAS member, instructor and presenter Ant Middleton who invited him to meet up during his ‘Mind over Muscle’ tour. In his show Ant explains the importance of training not just the body but also the mind, looking after both along the way. Western culture tends to split our bodies into “heart” and “mind”, yet meeting challenges is only possible when heart and mind are working together as one unit, in balance. Ian found the Mind over Muscle show hugely inspiring for him to keep up the training. He took his #IanClimbsKMJ flag, which will accompany him on all his climbs, to the meeting with Ant. Ant was delighted to endorse Ian’s campaign and signed the flag with the words “Zero Negativity, Stay Positive” as a motivator for Ian. More about the flag later in this update! If you’d like to join Ian on one or more of his hikes, do get in touch. Ian is raising money for Samaritans during his climbs, and he’ll also be doing some fundraising for MIND too. As we write he’s already raised over £6300 for Samaritans. If you’d like to support his work please follow the link to donate. Ian is updating regularly on social media with his videos, photos and useful resources. We’d like you to follow his social media accounts and join in sharing the messages with the hashtag #IanClimbsKMJ and #ItIsOkayNotToBeOkay. Find him on Twitter at @IanDrydenClimbs and on Linkedin. On The Tools – Thanks for the article and for making Ian ‘Hero of the Week’! 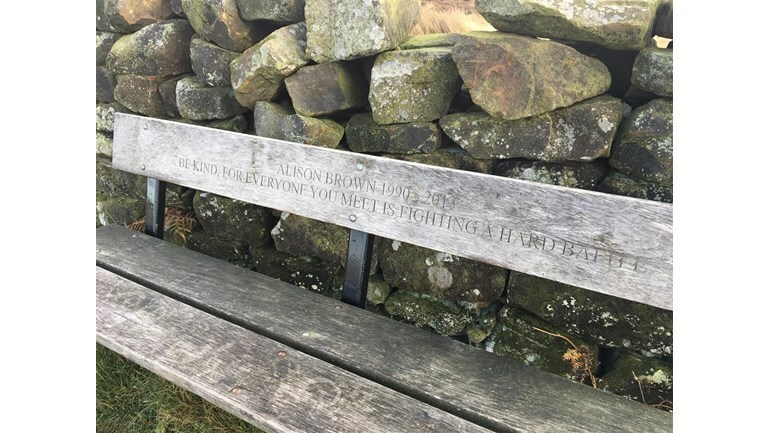 N T Sweeting Roofing Contractors Ltd.
We’re putting together a set of useful resources for mental health in construction, including helplines and information about initiatives across the industry. And we’ll be reporting back on Ian’s latest exploits, so watch this space.